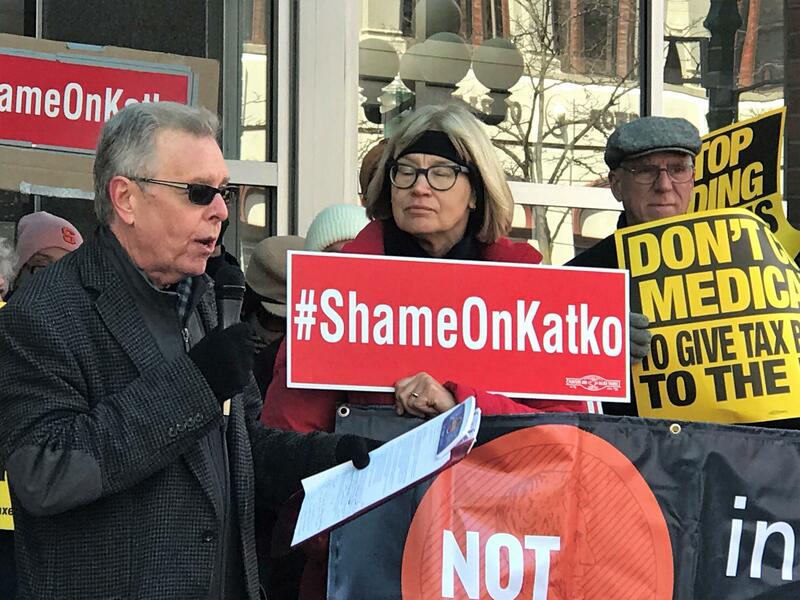 Bill Spreter addresses the crowd gathered in front of Katko's office building in the Galleries. Taliercio says a big part of getting facts out to the public is by engaging the youth who will be able to vote in the November election. "I see young people coming out and fighting for what they believe in. I will do all I can to reach out to community groups and work together to get as many young people registered as possible, and get the truth out." Others see more empathy in younger voters. Bill Spreter is President of the New York State Alliance for Retired Americans. "I talk to my son, who's a millennial, and find out they're extremely progressive. They're far different from where I was, even though I'd characterize myself as a neo-progressive. They are definitely supporters of policies such as health insurance for all, maybe even a guaranteed income." Spreter says voters of all ages are concerned politicians’ choices might affect seniors. 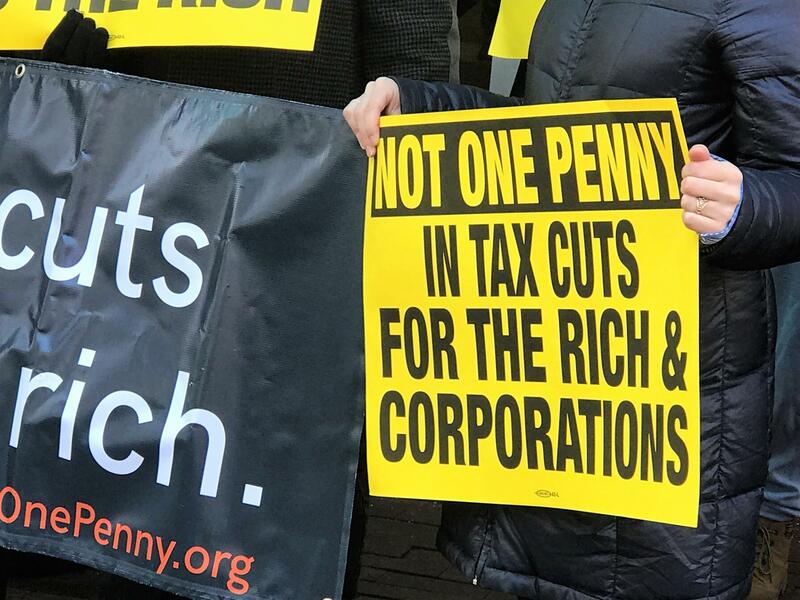 "We are very concerned that the Trump tax cuts will blow a hole in the budget, and will be used to justify cuts to Medicaid and Medicare. At first, we project those cuts to be cuts of a thousand cuts. They'll be done a little bit at a time so people don't even notice." Spreter also expressed concern about how rollbacks at the EPA might affect air and water quality. 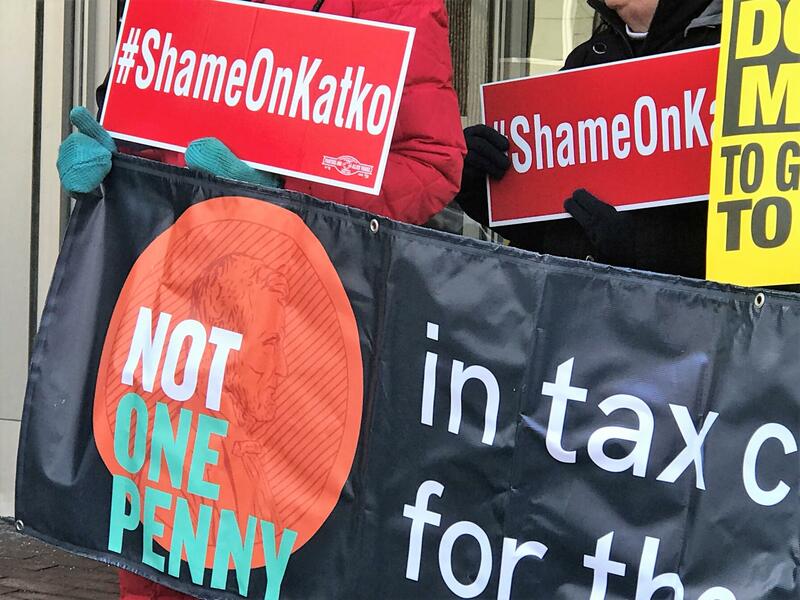 Governor Cuomo is slamming the tax overhaul plan passed by the House of Representatives, saying it will be “poison” to New York. 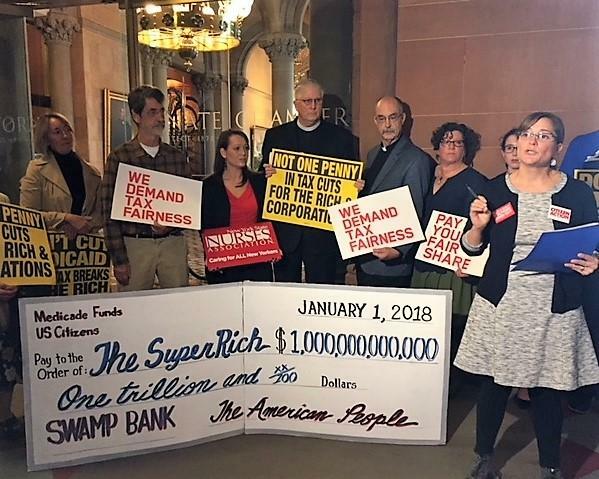 A range of groups, from businesses, school leaders and progressive activists in New York also spoke out against the House vote, and the provision to end the state and local tax deduction, saying they will be harmful to state residents. 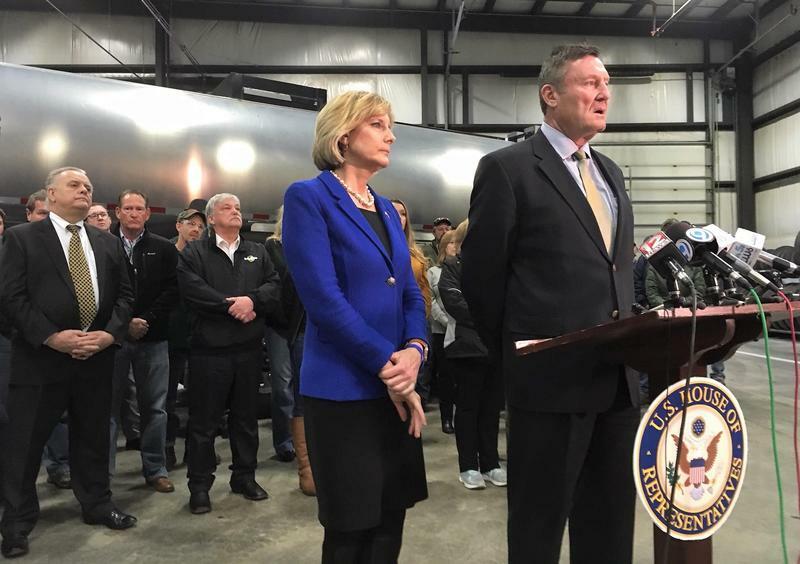 The governor also criticized the tax plan as a corporate giveaway. A Trump administration official made a stop in Syracuse Monday to hear what small business owners had to say about the economic climate in New York. 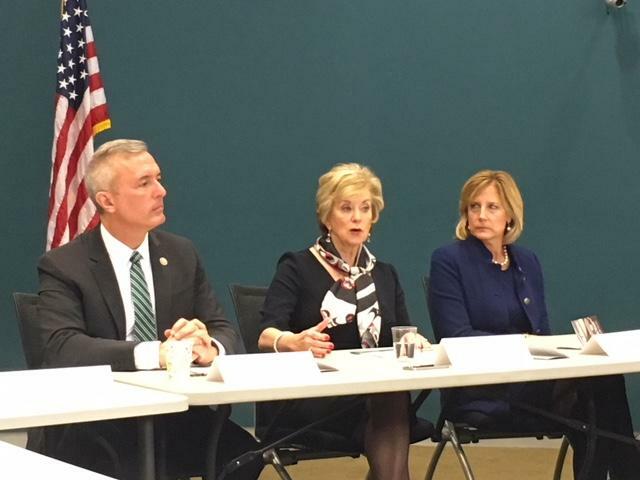 Small Business Administrator Linda McMahon was joined by Congressmembers John Katko and Claudia Tenney at the Tech Garden. McMahon shared her own experiences businesses that range from coffee and machinery to hospitality and fitness.